Need some stuff to practice your shooting skills on? 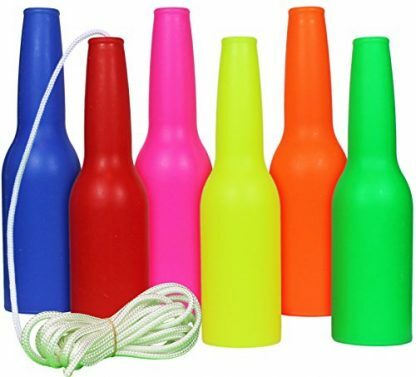 This set of colorful shooting bottles can do the job! These brightly-colored bottles are made with environmentally friendly Polyethylene which makes them shatterproof and reusable for many practice sessions to come. 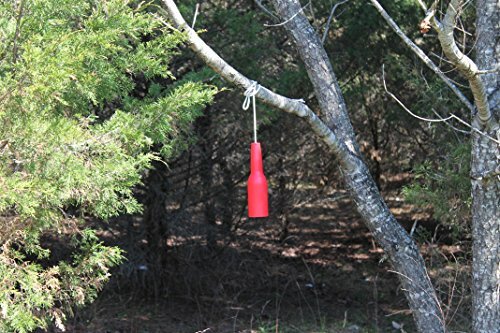 Let your friends practice their aim with these bright, sturdy bottles! 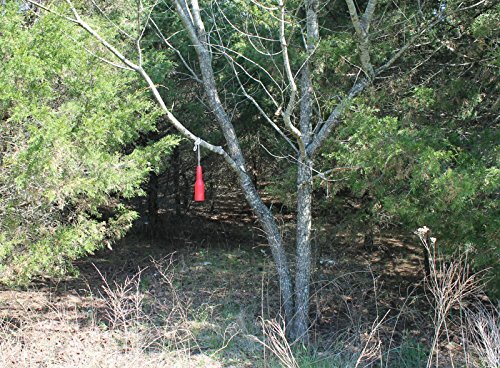 Looking for durable materials to practice your shooting skills on? These shooting bottles from MarksmanSKLZ is the perfect set! 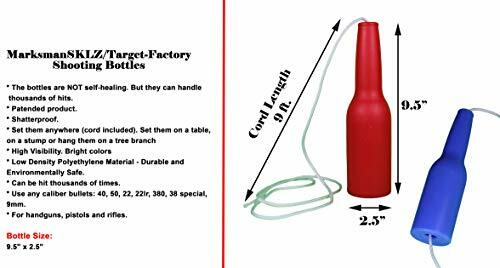 Made from durable and environmentally-friendly plastic, this shatterproof bottle set is perfect for those who want to improve their aim and shoot skills. Its neon, bright colors also makes it an easy target due to its higher visibility. If you have a friend who is just starting to have a taste for guns, then this set of brightly-colored shooting bottles is the perfect gift! Surprise them on their birthday, or on the Holidays with this gift. They can use these for outdoor or indoor practice, and they can finally master their own shooting skills in no time! 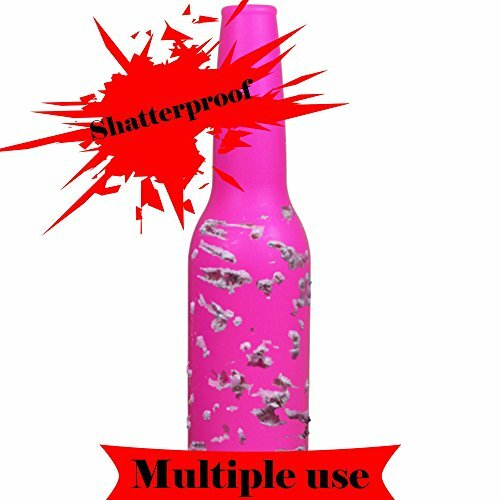 Set contains 6 shatterproof bottles in different colors for target shooting: Colored in blue, red, pink, green, yellow and orange. Bottles are brightly colored for high visibility during shooting sessions. Dimensions: 9.5″ x 2.5″ for the bottle; each bottle comes with a 9 ft. cord (18″ cord per bottle when cut). Shatterproof. Can be used for outdoor or indoor gun ranges, but the material is not self-healing. 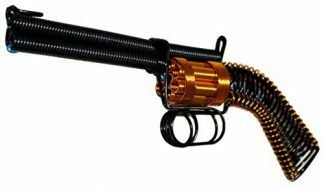 Can be hit thousands of times depending on the caliber and velocity (can be used with any caliber). 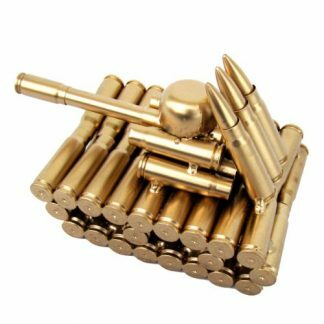 You can use any caliber bullets on these targets: 40, 50, 22, 22lr, 380, 38 special, 9mm. Works for handguns, pistols, and rifles too. 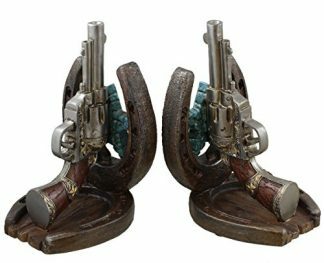 Can be set or placed anywhere – can be placed on a table, ledge, or a stump. Cord can also be used to hang them on a tree branch. Your purchase comes with a 100% money back guarantee. Help your friend master the art of shooting! 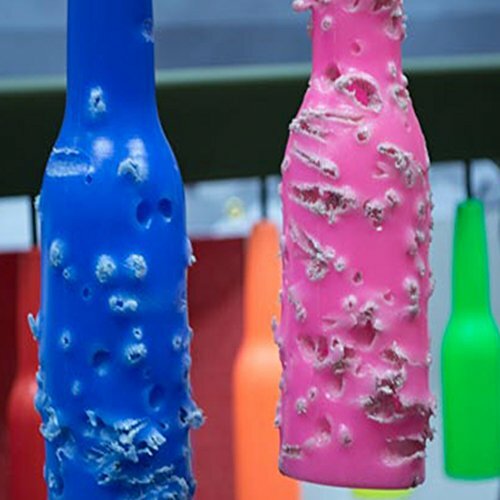 Surprise them with a set of shooting bottles that can withstand several rounds of ammo. They will certainly have fun while they master their aim and shooting skills at the same time!